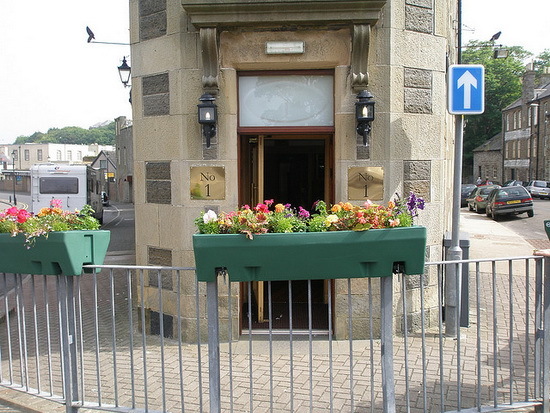 Ebenezer Place, in Wick, Caithness, Scotland, is credited by the Guinness Book of Records as being the world’s shortest street at 2.06 m (6 ft 9 in). In 2006 it surpassed the previous record (5.2 m, 17 ft) set by Elgin Street, Bacup, Lancashire. 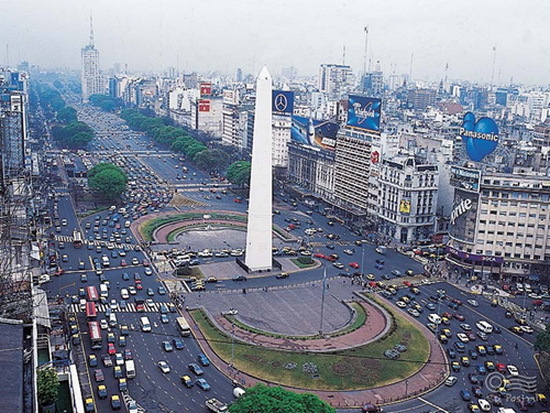 The street has only one address: the front door of No. 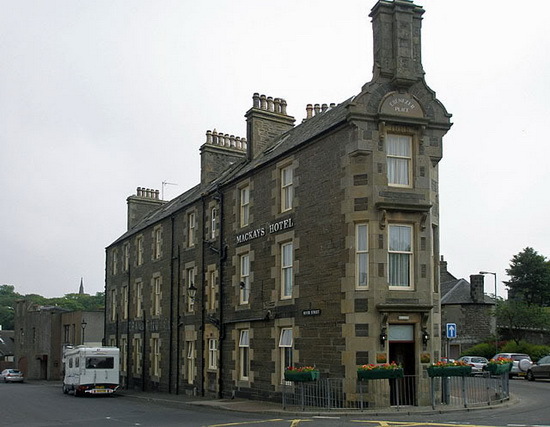 1 Bistro, which is part of Mackays Hotel. 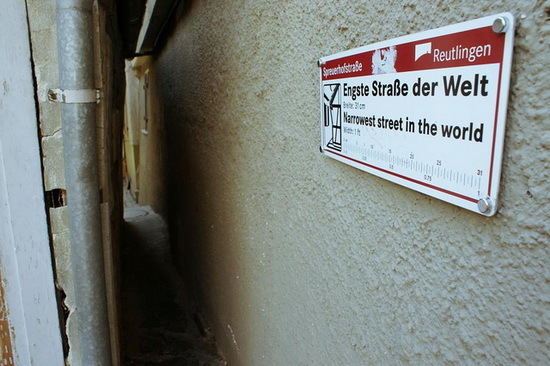 Spreuerhofstraße is the world’s narrowest street, found in the city of Reutlingen, Baden-Württemberg, Germany. 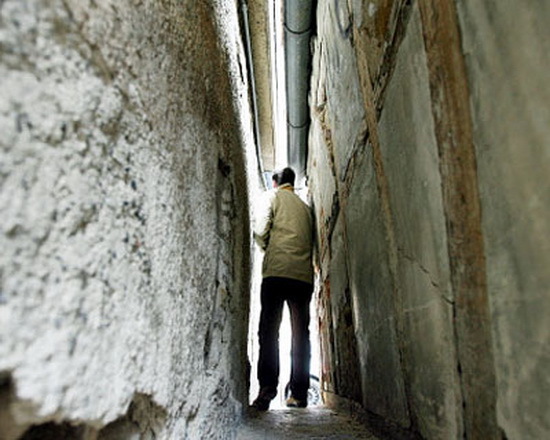 It ranges from 31 centimetres (12.2 in) at its narrowest to 50 centimetres (19.7 in) at its widest. 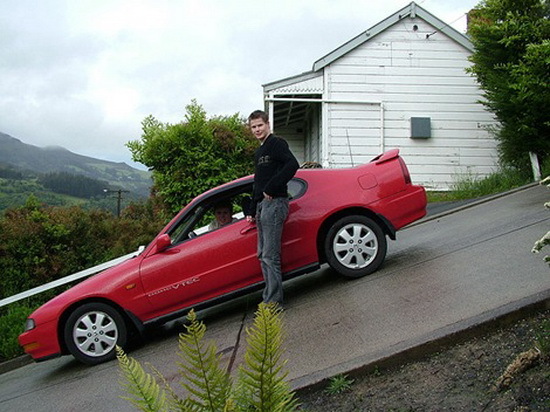 Baldwin Street in a suburban part of New Zealand’s southern city of Dunedin, is considered the world’s steepest residential street. 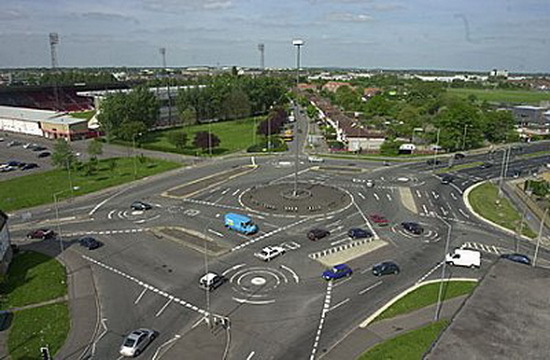 It is located in the suburb of North East Valley, 3,5 kilometres (2.2 mi) northeast of Dunedin’s city centre. A short straight street a little under 350 metres (1,150 ft) long, Baldwin Street runs east from the valley of the Lindsay Creek up the side of Signal Hill towards Opoho, rising from 30 m (98 ft) above sea level at its junction with North Road to 100 m (330 ft) above sea level at the top, an average slope of slightly more than 1:5. 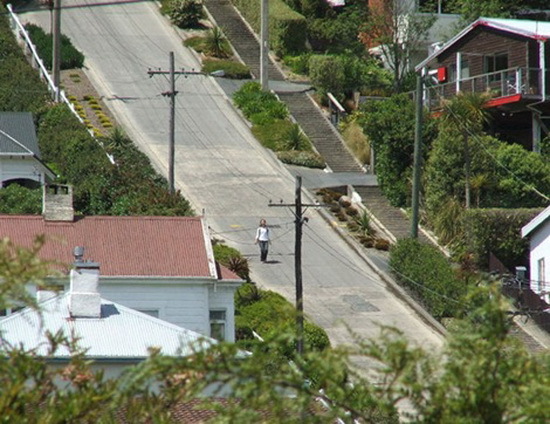 Its lower reaches are only moderately steep, and the surface is asphalt, but the upper reaches of this cul-de-sac are far steeper, and surfaced in concrete (200 m or 660 ft long), for ease of maintenance and for safety in Dunedin’s frosty winters. 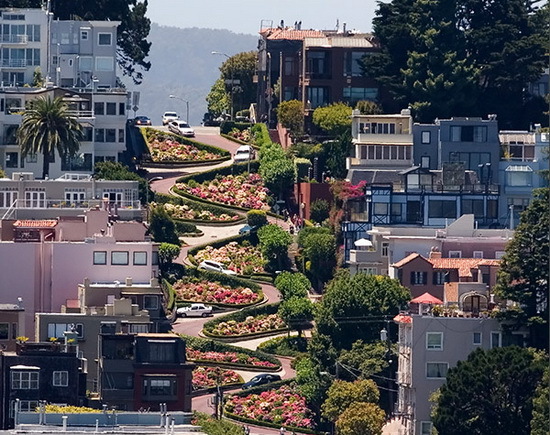 At its maximum, the slope of Baldwin Street is about 1:2.86 (19° or 35%) – that is, for every 2.86 metres travelled horizontally, the elevation rises by 1 metre. 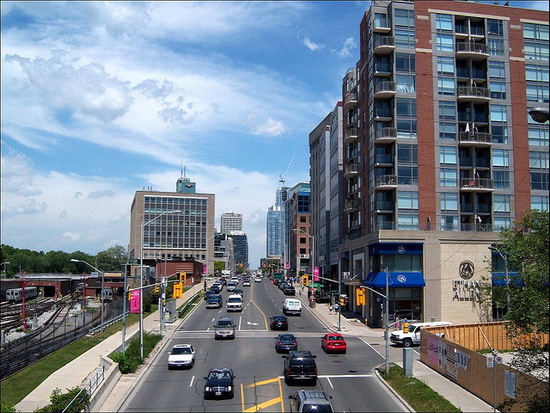 The Longest Street in the World is Yonge Street (pronounced “young”), referred to as “Main Street Ontario”, connects the shores of Lake Ontario in Toronto in Canada to Lake Simcoe, a gateway to the Upper Great Lakes. Actually, it starts on the Toronto lakeshore and winds its way northwesterly along Highway 11 to Rainy River, Ontario, at the Minnesota border. Yonge Street is listed in the Guinness Book of Records as the longest street in the world at 1.896 km (1,178 mi), and the construction of this street is designated an Event of National Historic Significance. 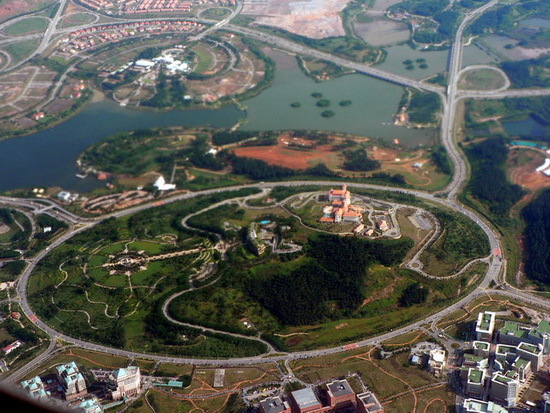 World’s Largest Roundabout (Putrajaya – Malaysia) Putrajaya is in the south of Kuala Lumpur. 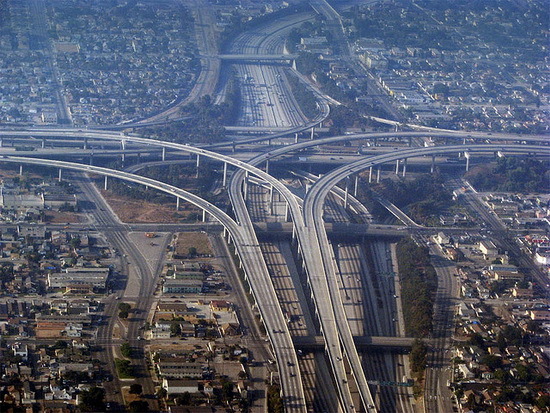 It is a new political center, the loop length of it is 3,4 km. 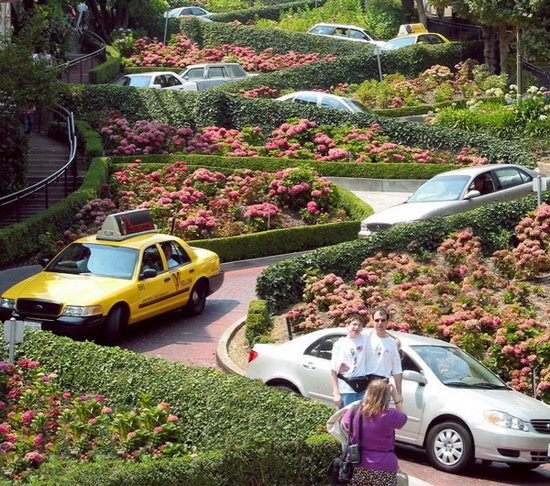 The roundabout is situated around a beautiful hill and green parks.